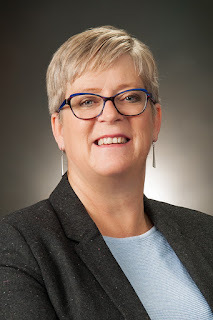 Ingrid Cazakoff has served as the CEO for Heritage Saskatchewan since 2010, a non-profit organization established to promote heritage throughout the province. Ingrid has been an active participant in the cultural community of Saskatchewan for over three decades. Throughout this time she has demonstrated her commitment to community development through collaborative partnerships which continues to inform her leadership style at Heritage Saskatchewan. Developing relationships with individuals and organizations that share her passion for community; promoting the multiple connections between Living Heritage and quality of life issues, Ingrid leads a team of dedicated individuals who are pursuing new approaches; thinking about heritage as a dynamic aspect of daily life, linking the past to the present and creating a valuable legacy for future generations. At the forum, Ingril will be participating in a panel discussion titled Safeguarding Living Heritage Across Canada where she will share her experiences working with Heritage Saskatchewan.